(CBS/AP) LAUDERDALE LAKES, Fla. - Authorities say a South Florida tow truck driver has been shot and killed by the man whose car he was hauling away on Tuesday afternoon. The Broward County Sheriff's Office reports managers of the St. Croix apartments in Lauderdale Lakes called All County Towing to remove vehicles that were not supposed to be on the property. Herr, 36, was getting ready to haul away one of the vehicles at about 3 p.m. when he was confronted by the owner of the car. 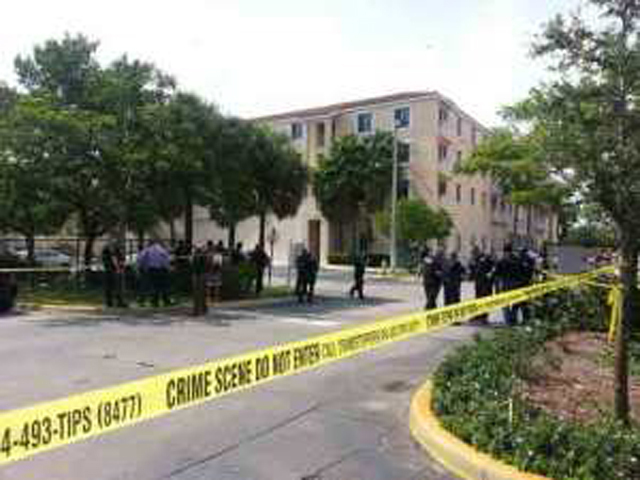 CBS Miami reports the car owner had a gun and shot Herr several times. The unidentified gunman allegedly also opened fire on deputies responding to the scene. At least one deputy fired at the suspect, critically injuring him. Herr was pronounced dead at the scene. According to the station, the deputy who shot at the suspect will be placed on administrative leave as part of a standard procedure. Other tow truck drivers told CBS Miami that the deadly confrontation could have been avoided if the car owner paid Herr $50 to drop the car and move on under a county ordinance.